How to change SBI ATM Debit card Pin Number? Follow the below given steps to Change your SBI ATM / Debit Card PIN number online. If you find any suspicious transactions happening with your SBI ATM / Debit card, first thing you have to do is block your ATM card. It is recommended to change your ATM card Pin number once in a while. Never disclose your pin number to others nor save it on your phone or email. Enter the first 2 numbers you entered and the last 2 numbers you received on mobile in the confirmation page and submit. Your ATM Card Pin number will be changed now and you will receive the SMS. 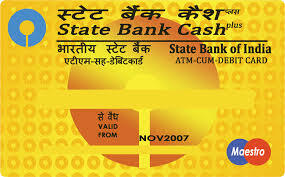 SBI's customer care Toll free numbers are accessible from all landlines and mobile phones in the country.